Not like that, cheeky. 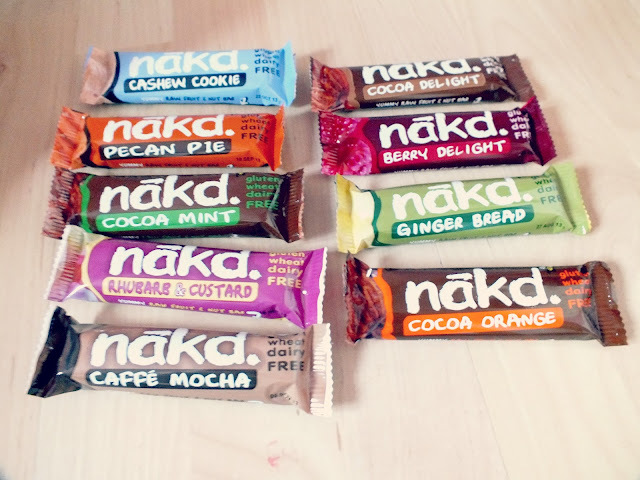 I was recently sent a mixed pack of Nakd bars by Natural Balance Foods to try for review. 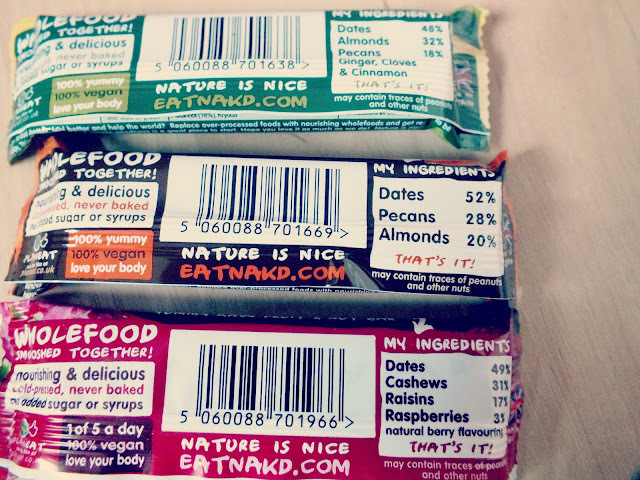 I like to think that I eat relatively healthy and these bars are fantastic! Healthy Snacks are great for when you're trying to keep fit and in shape and these are perfect for that. I read a little about nakd bars before agreeing to review them and I must say, I was impressed, they have 100% natural ingredients, they're wheat, gluten, GM and dairy free and many of them count towards your 5 a day! They have seriously minimal ingredients which you can see in the photo I took of the ingredients list of a few of them. 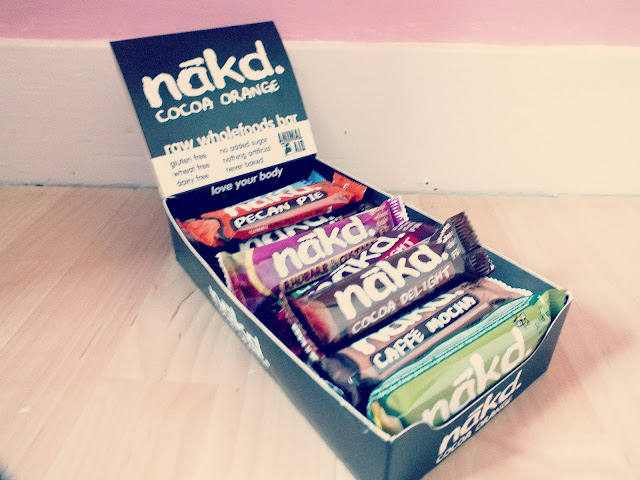 All the bars in this mixed case are made up entirely of fruit and nuts, both of which are fantastic for a healthy diet. Though be careful if you have nut allergies. The ingredients are very clear and super simple though, so there's no long scary list to read through if you do happen to have any allergies. For something so simple, they really are very tasty. They taste healthy and natural, which I personally love but they're also a little sweet thanks to all the fruit in them. 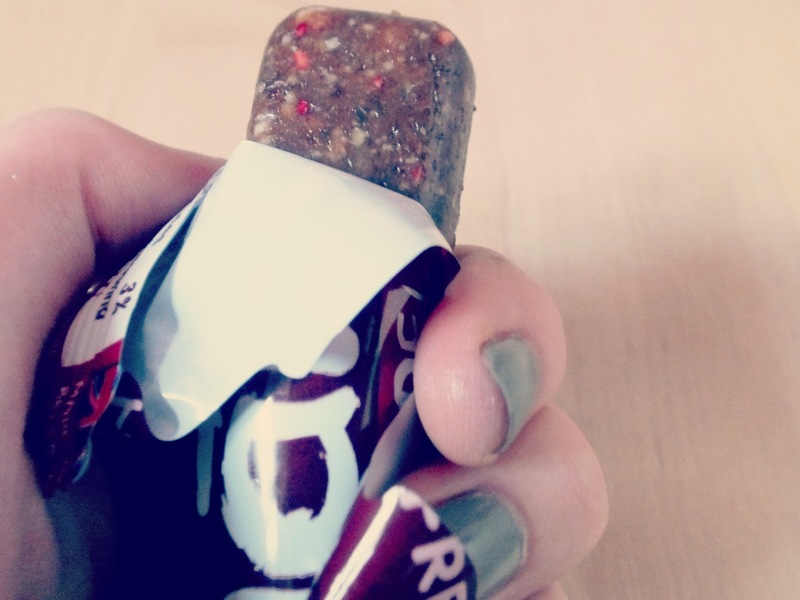 There are lots of chocolatey flavours which is great if you've got a chocolate craving and you're trying to be healthy! Overall, these definitely get a thumbs up from me, I'm so glad I tried these as they're such a healthy alternative to a cake or biscuit and they're quite a filling snack too, which is always good. What do you think? Would you like to try a nakd bar?